April 2018 Update: Apple officially released external graphics card support to the public with 10.13.4 on March 29th, 2018. This update made external GPU functionality plug-and-play for Thunderbolt 3 Macs when paired with supported AMD eGFX. The bad news is the exclusion of older Thunderbolt 1 and Thunderbolt 2 Macs. The good news is we found a workaround, please read our State of External Graphics Card in 10.13.4 for more details. October 2017 Update: If you plan on using a Thunderbolt 3 MacBook Pro with Windows, please read our External GPU Boot Camp setup guide. September 2017 Update: This setup guide is applicable for macOS 10.9 to 10.12 only. For macOS 10.13, please read our High Sierra External GPU overview. 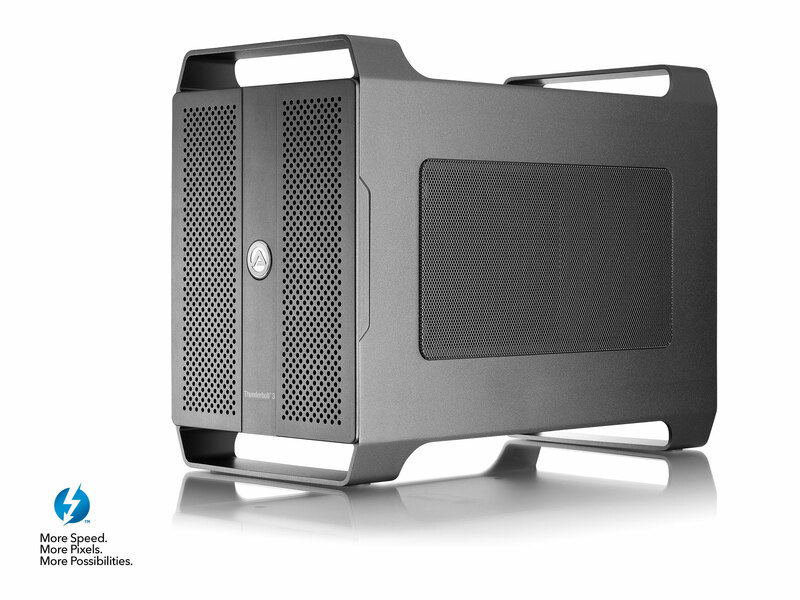 External graphics cards work with all Thunderbolt-equipped Macs. A 2011 MacBook Pro with the first generation Thunderbolt and the latest 2017 MacBook Pro with Thunderbolt 3 can both harvest the power of an external GPU. In our experience, a Mac with only integrated graphics is easier to set up with an external GPU. Mac models with an asterisk (*) denote they have discrete graphics as a standard feature. The table below details all Mac computers with Thunderbolt connectivity. In order to get the most performance out of an external GPU setup, we recommend using a quad-core processor Mac. From the limited resources we’ve gathered to date, the Late 2016 15″ MacBook Pro is currently the best host for external GPU implementation. We found Apple attached the PCIe lanes directly to the quad-core i7 CPU in its newest 15″ MacBook Pro laptops. This is unlike the majority of Thunderbolt computers which route the PCIe lanes through the Platform Controller Hub (PCH). The disadvantage of having the Thunderbolt connection through the PCH is that the PCH shares bandwidth with other internal components (e.g., PCIe flash storage, network cards, USB ports) and potentially limits the external GPU performance. In this table, Nando explains max bandwidth for external graphics card usage on the Late 2016 MacBook Pro. Before getting too excited about your Mac’s compatibility with external GPU, you should know that Apple never announced external graphics card capabilities as an official feature on its computers. Building and using an external graphics card with your Mac is totally unsupported by Apple; the Genius Bar will definitely turn you away if you haul your external GPU enclosure into the Apple Store. Our Mac Setup Forum is the appropriate place to ask questions about your external graphics card setup. Step 1 – Communication between the Thunderbolt enclosure and the computer. Step 2 – Recognition in Mac OS that the enclosure contains a graphics card. Step 3 – Installation and loading of the appropriate drivers for the GPU in Mac OS. Most Thunderbolt enclosures with a PCIe slot are able to communicate with Mac OS (10.9 to 10.12). 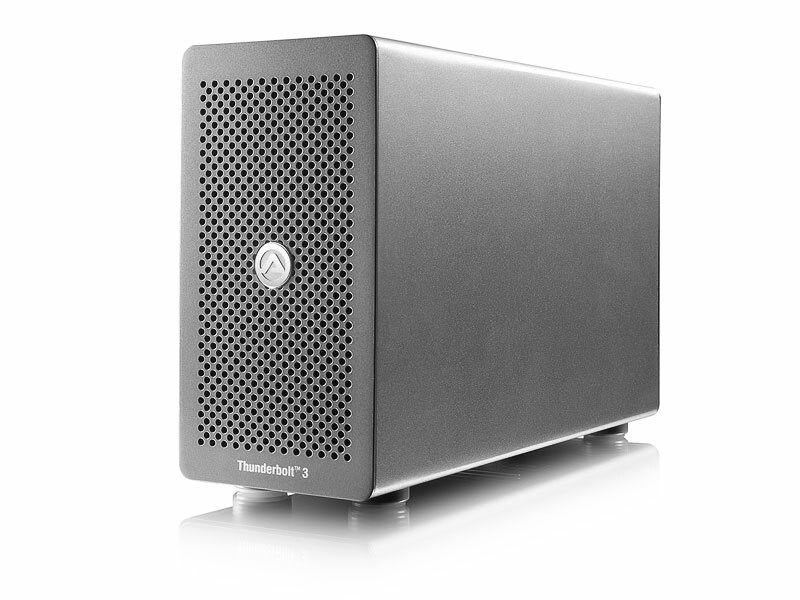 A Thunderbolt 2 enclosure such as the AKiTiO Thunder2 works directly with all first- and second-generation Thunderbolt Macs since the physical connector is the same and Thunderbolt 2 (TB2) is backward compatible with Thunderbolt (TB1). The introduction of the Late 2016 MacBook Pro brought Thunderbolt 3 (TB3) and a new type of connector in the physical shape of USB-C. Apple Thunderbolt 3 (USB-C) to Thunderbolt Adapter allows backward and forward compatibility. With this adapter, TB1 and TB2 Macs can use TB3 enclosures, and TB3 Macs can use TB2 enclosures. 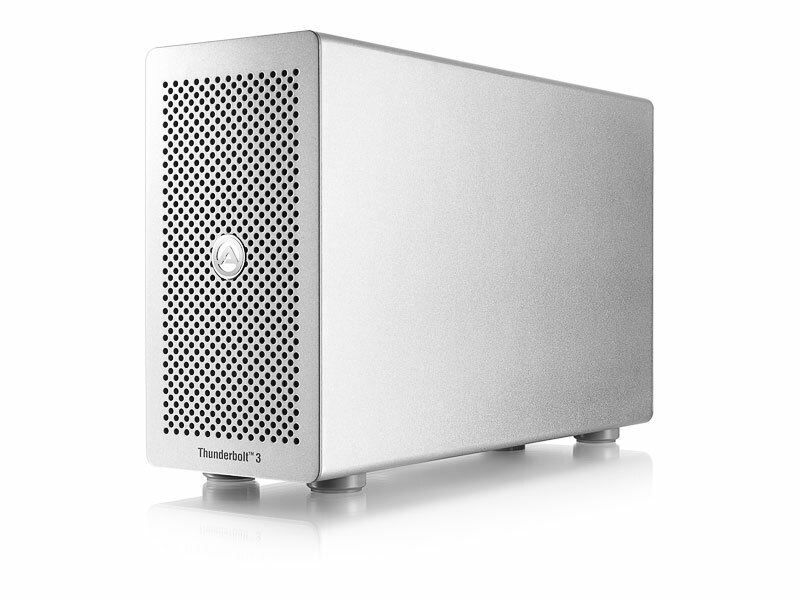 Choosing a Thunderbolt 2 enclosure is very easy because there are only a handful of them. The AKiTiO Thunder2 PCIe Expansion Box is the most affordable and commonly used for external GPU builds. Other suitable TB2 enclosures for external graphics card setup are: OWC Mercury Helios, Sonnet Echo Express III-D, Netstor NA211TB-LD. You have many more options for a Thunderbolt 3 enclosure. Since the arrival of the Late 2016 MacBook Pro in October 2016, it seems a new Thunderbolt 3 enclosure comes out every month. Intel is in high gear to promote the Thunderbolt 3/USB-C connectivity standard. Due to the thinner and lighter design language across the industry, the demand for expansion enclosures is at an all-time high. 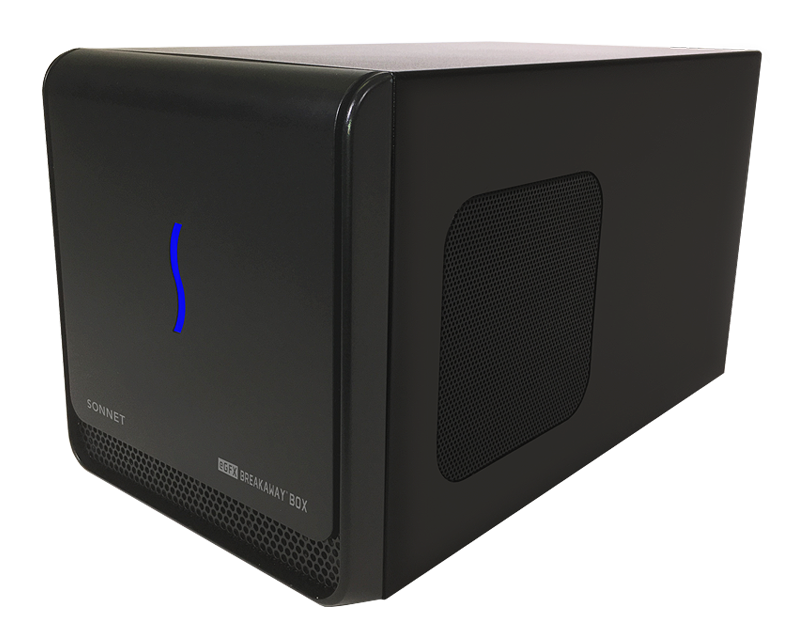 Below is a list of the most popular Thunderbolt external GPU enclosures currently available in 2017 (most up-to-date enclosure information at External GPU Buyer’s Guide: Top 2017 eGPU enclosures compared). Note: better value Thunderbolt 3 enclosures work with TB2/TB1 Macs in macOS and with PC notebooks via a US$49 Apple TB3 to TB2 adapter. See examples. 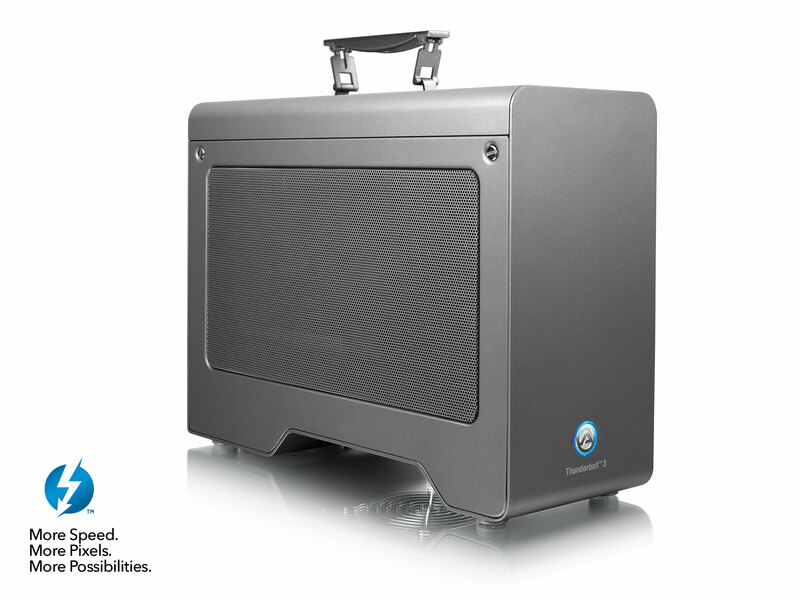 We’ve been using the AKiTiO Node which is a ready-to-go external GPU enclosure. We reviewed this Thunderbolt 3 enclosure and highly recommend it for first-time external graphics card builds. The AKiTiO Node is currently the most affordable solution and has space for almost every graphics card on the market including those with liquid cooling. It also has a built-in 400W power supply. Another important feature it has is the Texas Instrument TI83 USB-C controller. Thunderbolt 3 enclosures with TI83 controller are preferable due to native support in macOS Sierra 10.12. Another great option is the Mantiz Venus Thunderbolt 3 enclosure. It has more features and gets our recommendation for pairing with the Late 2016 MacBook Pro. With 5x standard USB 3.0 ports, 1x Ethernet port, 1x SATA III connection, and 87W charging power through a single Thunderbolt cable, the Mantiz Venus is the ultimate Thunderbolt 3 eGPU docking station. All Thunderbolt 2 enclosures as well as Thunderbolt 3 enclosures with the older TI82 controller are not supported and have a harder time communicating with macOS. Kid2010 on Netkas forum discovered this is a software block Apple put in place starting with 10.12.1. Fortunately, he found a workaround to bypass this restriction. 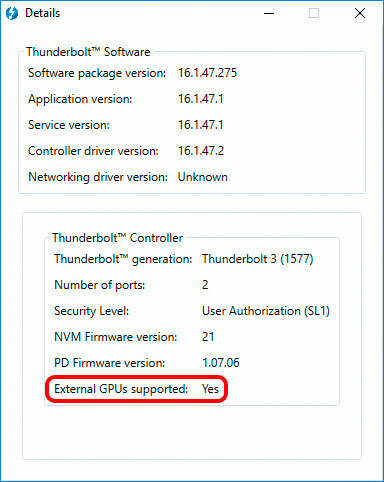 If you see the “Unsupported” message in System Information > Thunderbolt device tree for your Thunderbolt enclosure, download and run TB3-Enabler. After running this script, your Thunderbolt enclosure will show “Supported” and be able to communicate with macOS. Mac OS 10.9 to 10.11 does not have this Thunderbolt software block. The next step is to make your Mac recognize there’s an external GPU attached to the enclosure. Goalque discovered the workaround and developed automate-eGPU script to make this process easy. The script modifies existing Mac OS system files to enable the recognition of an external graphics card connected through a Thunderbolt enclosure. automate-eGPU.sh v1.0.1 is the latest version which supports Mac OS 10.9 to 10.12. As mentioned earlier Apple has not officially released this external GPU capability for Mac, so this step will need to be completed every time you update Mac OS. Besides enabling the recognition of external graphics card in Mac OS, automate-eGPU script also facilitates the graphics card driver installation process. Some AMD Radeon graphics cards have native and partially working drivers in Mac OS while Nvidia GeForce graphics cards use Nvidia web drivers. Running automate-eGPU.sh v1.0.1 script will either load the appropriate Mac OS drivers for your AMD GPU or install web drivers for your Nvidia GPU. On April 11th, 2017 Nvidia released the long-awaited web drivers for Pascal graphics cards. The drivers are currently beta but nevertheless allow Macs to use GTX 10 series GPUs. Here is the list of graphics cards, sorted newest to oldest, that we’ve found to work with macOS Sierra 10.12. 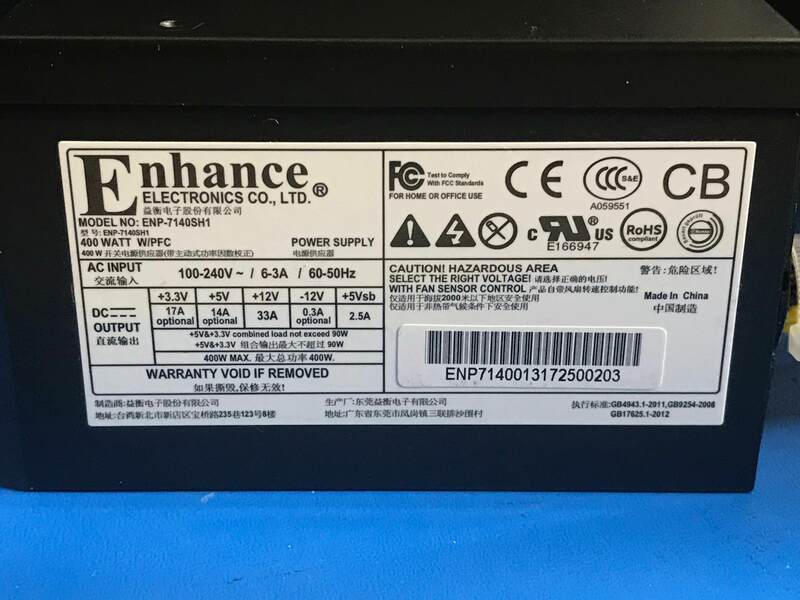 The most common problems with external graphics card builds arise from an improperly paired power supply. Without adequate power, it will be a headache maintaining a functional external graphics card. 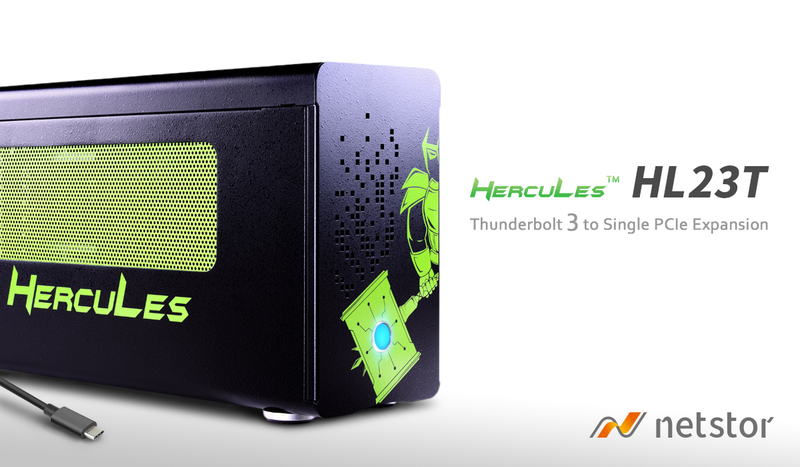 It’s best to go with a Thunderbolt enclosure that has a built-in power supply with at least 350W. For Thunderbolt enclosures without a built-in PSU, you can either use a Dell DA-2 220W power brick (for GPUs requiring less than 150W TDP) or a 400W+ desktop power supply. 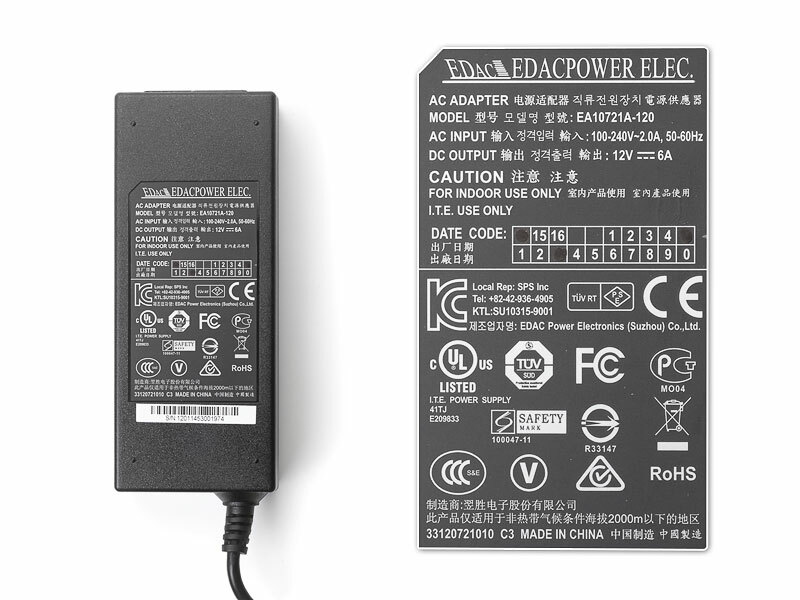 The use of an external power supply requires power cable modifications which can be done through soldering of existing cables or buying pre-made cables. eGPU.io Forum has a section with discussions on external GPU power supplies and cables. Once you have chosen and put together all hardware components for your Mac external graphics card build, the next step is software installation in Mac OS. At this time, you cannot connect or disconnect the external graphics card while your Mac is running. Connecting your Mac to the external graphics card enclosure requires a cold boot. Disconnecting the external GPU enclosure while the computer is running will freeze the system and cause a kernel panic. Make sure to always shut your Mac down before unplugging the Thunderbolt cable. If your Mac is newer than Late 2014, you might have to turn on -a mode: sudo ./automate-eGPU.sh -a. If the first try is not successful -a mode turned on, turn it off (sudo ./automate-eGPU.sh -m), start from the beginning and skip this step. If you have a TB3 Mac, a USB-C adapter (such as USB-C to USB, USB-C to DP) plugged in the other TB3 port is necessary for now. Connect the external GPU and boot into macOS, and soon you’ll hear the “whoosh” sound! If all goes well, you should be able to see your graphics card running with Metal support in System Information » Graphics Cards/Displays. Connecting your external graphics card to an external display will work similarly to this AKiTiO Node working with a Late 2016 MacBook Pro 15″. Once your external graphics card is up and running, you can continue using it with an external monitor or force the external graphics card to accelerate the internal display of your Mac. If you go with the latter option, you will need a ghost video adapter such as fit-headless 4K HDMI adapter. The other one we found to be working are Bee Eater 4K Display Emulator. Switch “Next Display” or “Previous Display” with a keyboard shortcut (CONTROL ⌃ OPTION ⌥ COMMAND ⌘ LEFT ◀︎ or RIGHT ▶︎ ARROW). *Spectacle switches apps between displays in both Windowed and Fullscreen mode. Matching the ghost display’s resolution with the internal display using DisableMonitor is therefore recommended. Best of luck on your external graphics card build! Consider browsing eGPU.io Mac users’ successful builds or visit the eGPU.io forum to ask questions and share your own success stories. What about the Macbook Pro 15″ retina early 2013? It is not compatible? Thank you for spotting that. My eyes must got tired looking through all those model years and screen sizes and missed the early 2013. It should be under Thunderbolt (10Gbps) section. I added both the 13′ and 15″ retina Early 2013 to the list. ed_co did you make a successful build? 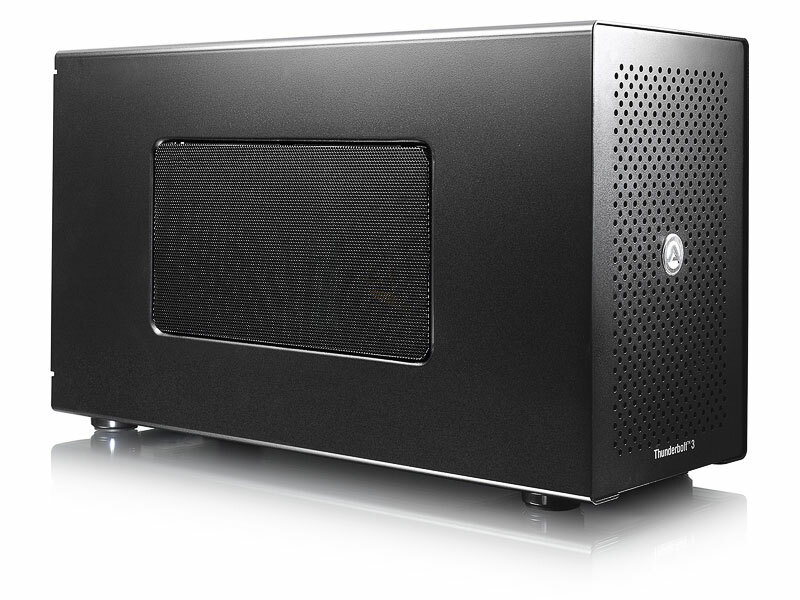 I am running a Bizon Box with a GTX 980 Ti through a thunderbolt 3 to thunderbolt 2 converter into my iMac 2012. The computer can see the card but none of my software will use it like adobe premiere. or anything on the computer. This was confirmed after looking at my “about this mac” and the mac refers to the primary GPU as the internal and the cinebench cant see the eGPU at all. How can I get the applications to use the eGPU? I would recommend returning the Bizon Box. Get your money back and buy one of the Thunderbolt 3 enclosures in our Buyer’s Guide. Did you find a solution? Same problem here. Maybe its because the iMac 2012 is Thunderbolt 1 – not 2. Surely not. Apps like Capture One Pro were able to use OpenCL with my TB1-only early 2013 15″ MBP (with the Node + RX480 and the Apple TB1/2-TB3 adapter). There are some significant changes in 10.12.4 that we’re still trying to sort out. It mostly effects AMD GPUs. I’d suggest posting a new thread in our Thunderbolt Mac forum so that others with a similar setup to yours may share their experience. Thank you, I will do that. As an update, I tried rolling back to 10.12.3, but the same thing happens, except for under System Information | Graphics/Displays the “Display” line shows as ATI with correct hardware numbers. However, the external display won’t work and the about mac only shows internal GPUs. I’m trying to get a 10.12.2 installer to revert back to that and see if it works then. sorry did some more research and found out about disabling system integrity. I got it installed. I’d recommend checking the firmware on your AKiTiO Node. Update the Node firmware to the latest version is to get the best performance and compatibility. If I dual booted my macbook, is the external GPU automatically recognized? just like in razer blade stealth? It should. You may have to enable the iGPU in Boot Camp if your Mac has dGPU. Error 12 is another common issue but there are several fixes for it in our forum. Is the NVIDIA GeForce GTX 650 1GB compatible? I haven’t tried a GTX 6 series GPU. Mac OS has native driver for GTX 650 so I’m fairly certain it will work with eGPU. Thanks for all the info and updates and comments. Followed as per above and after disable SIP in recovery successfully installed and the GTX 980Ti showed in system info, but when I re-enabled SIP and rebooted, CUDA is showing No GPU detected in red and there is only a generic GPU showing in system info. Does this mean we have to leave SIP disabled? Many thanks! I’ve always run eGPU with SIP disabled. Re-enabling SIP definitely prevents the proper kexts to load during boot. Therefore the eGPU is not functional even though it’s connected to the system. Thanks, that makes sense. This work station is not usually connected to the internet anyway so security is less of a concern. Thanks for all the R&D work here too, makes life a lot easier! 15″ MacBook Pro with TB3 connected with the Apple TB2 Monitor – can I use one of the “ghost” drivers to keep using my monitor and add an eGPU in the chain – sending the video signal back out one of my laptops TB3 ports? Would I be able to do the same while running Windows? This is the first and clear egpu guide, thanks! However, I still have a doubt. Which is the best egpu configuration for my MacBook Pro retina 13 2013, 2,8GHz i7, 16GB 1600, iris 1536, el capitan? Akitio node + titan + t3 to t2 converter? I don’t like the idea to have an external PSU and the akitio, many boxes on the desk. Thanks! You’re on the right track. Get an enclosure with built-in PSU. 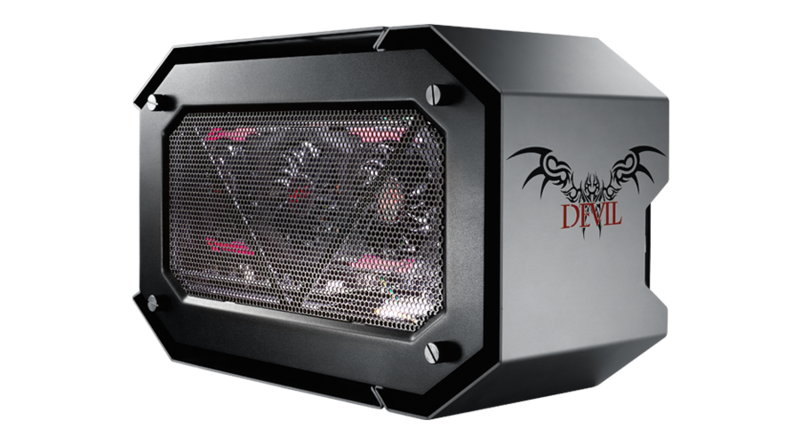 Depending on what you use the eGPU for, the GTX Titan may be overkill. What GPU or eGPU is good for MacBook Pro (Retina, 13-inch, Early 2015) ? Anything beyond a GTX1060 starts seeing diminishing returns. RX470/RX480 another popular choice from the Red team. You can simply unplug the front fan connector from the AKiTiO Node’s board. Unmount the 120mm from its mounting bracket. Then mount the radiator + cooling fan from the Hybrid GPU onto this mounting bracket. Here’s a discussion about mounting the GTX Hybrid GPUs inside AKiTiO Node. Everything worked like a charm, just the fan, for now I fixed it as a replacement of the original one, I don’t worry that it is open. Thanx a lot to the friendly community. Does your Mac Pro trashcan currently have FirePro D300s? If so, I would imagine the GTX 1080 eGPU to provide a nice performance boost to power those 6 projectors. As long as you connect the TripleHead2Go adapters to the eGPU directly with DisplayPort cables, they should work. i wanna use the exp gdc 8.0 beast mac version on macbook pro retina 13 mid 2014 will it cause any problem? i can set it up but is this compatible? the options with thunderbolt is expensive in my country. and another little thing i just wanna do it on internal display is this possible? I’m not aware of exp gdc 8.0 beast for Mac. Can you link to the product page? That looks promising. I don’t think anyone has tried it yet on a Mac. It’s worth giving it a shot and follow the software installation procedure in our setup guide. there is only a guy tried on an iMac in reviews its the same thing right? i’ll write here or on the forum when i done it. On the amazon page: Which style and size of the nvidia gtx 1080ti should I get? Does that effect it much? Planning on pairing woth the akitio node. The AkiTiO Node has enough room to fit almost every double wide GPU. You’re fairly safe getting any style GTX 1080 Ti you’d like. The “ZOTAC GeForce GTX 1080 Ti AMP Extreme” may be an exception because its cooler is triple wide. Im using a early 2015 MBP 13″ 2.7GHz core i5. I know my mbp only has thunderbolt 2, so could i possibly run a GTX 1070 on a thunderbolt 2 case? Thank you for the speedy feedback! Hello. I have a late 2015 MBP connected TB2>TB3 to a Razer Core with a 1080 Ti. Thunderbolt under system hardware shows the core but the Graphics/Display shows NVIDIA Chip Model, not the 1080 Ti. Ordinarily I’d say this is just a beta bug since automate-eGPU.sh recognizes the 1080 Ti. Everything looks good but video out is not happening – not through the HDMI out or any of the three Display Ports. Tried some other third parties like DisableMonitor but still no joy. Any thoughts? I would recommend uninstalling the script and do full installation again. This happened to me before and that’s how it got it to eventually work. Rerun the script with -a may help as well. Thank you very much!!! Thank you for your effort. I’m in the process to get a better GPU than the D300 in my nMP trashcan and this site is the site!!! GTX 980 in Atikio Thunder 2 and Rosewill 650w PSU into Macbook Pro 13″ mid-2012 running OS X 10.12.5. Both the Atikio and the GTX 980 show up in Profiler, but I’m not getting a signal on my HDMI external display. Hello I have iMac 2012 late . How I can connect to Akitio node for internal display. I want working with MacOS. This is possible? And what is needed for this? This is explained in How to: eGPU-Accelerated Internal Display in macOS. fit-Headless GS 4K adapter is fit for imac 2012 late? Sorry, fit-Headless GS 4K adapter connect to GPU Akitio Node correct? That’s correct. The fit-Headless adapter goes in the back of the AKiTiO Node. In theory, it should work. In practice, the Thunderbolt 1 speed may make this setup very slow due to its limited bandwidth. But a have Thunderbolt 2. A late 2012 iMac has first generation Thunderbolt. You can reference our table of Thunderbolt-equipped Macs. A Ok I see thx!!! Do you know how much fps will be in benchmark? I do notice that in my macbook pro 15″ late 16 under OS X 10.12.5 my connected ASUS XG 2 shows only 20 Gbit/s for the TB3 Port. All others are 40 Gbit/s. I upgraded the Firmware already. And the GTX 1080 TI always drives internal and external display. I only need it to work with the external one. Is that the point for having half the Bandwidth? Even with the old firmware, the Thunderbolt 3 connection from your late 2016 15″ MacBook Pro to the ASUS XG 2 should show 40 Gb/s. Which Thunderbolt 3 cable are you using? Hello I have Macbook Pro 2011 late . 2,7 ghz 8GO. How I can connect to Akitio node for internal display. I want working with MacOS. This is possible? And what is needed for this? Yes it’s possible as explained in How to: eGPU-Accelerated Internal Display in macOS. What about the Macbook Pro 15″ late 2015 with M370X? Can it works perfectly like the late 2016 MacBook Pro, both external display and internal display? Any best practice? Yes it can use an eGPU accelerated internal LCD. See existing M370X 15″ MBP eGPU implementation examples. Can I accelerate internal display on imac 27 inch late 2013 using a fitheadless display adapter gs and softwares used in the guide. It’s possible but we have not seen an implementation of the eGPU-accelerated internal display on these yet. Give it a shot and let us know how it goes. I’m doing research on how to do this. I noticed in the comments someone mentioned 10.12.4 had some changes, and I’m on 10.12.5, and thinking about getting the Node with either a GTX960 or GTX1060. I have a 2015 15″ Macbook pro with M370X, do I still just follow this guide? Or is there something I should pay attention to? Thank you! 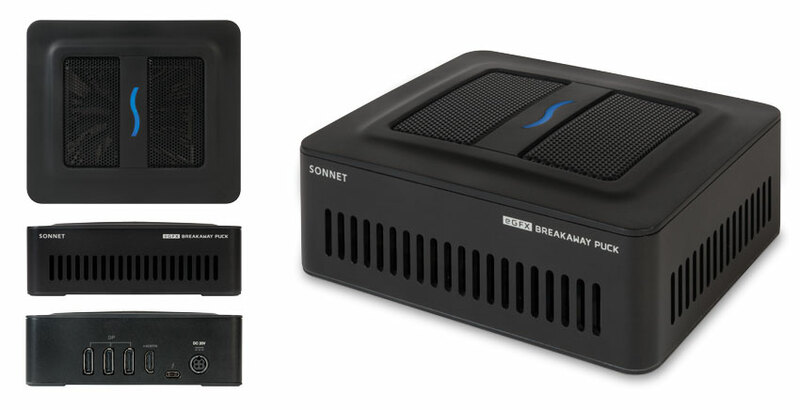 I have a MBP 13″ mid 2012.Does the Sonnet Breakaway Box work with a Thunderbolt 3 to Thunderbolt 2 Adapter under Windows 10 (Bootcamp)? Is the DisplayPort signal of the 15″ MacBook for the Thunderbolt connector really coming from the CPU? Shouldn’t the signal be coming from the dGFX (dGPU)? The Apple GMUX wires the eDP LCD to the CPU’s iGPU when using the iGPU. When the dGPU is switched in then correctly so, the dGPU is wired to the eDP LCD. Regardless, the aim of the diagram is to illustrate the different CPU vs PCH wiring of the Thunderbolt controller with the latter having a DMI bottleneck. I have encountered an issue when using the script in this article. I have the 15″ 2016 touch bar MBP with a LG 5k display and an Akitio Node with a Nvidia GTX 1080. When I ran the script, the Mac was able to recognize the Akitio, as advertised 🙂 But my LG 5k is no longer 5k but a scaled up 4k and I can not revert this setting – it is set to optimized resolution under system settings. Why is this happening and can it be fixed without a clean install of the Mac? anybody happen to know what’s causing this or a solution? Hey there, I am trying to install a 1080 Ti in a Mantiz Venus egpu on the new Macbook Pro 15″ (2017)- I have run the script and everything seems to have run fine; the device is listed under the Thunderbolt heading in System Report and during the script it recognized the GPU but did not find any drivers for the card- also the GPU is not showing up under the system report- please advise! Thank you! The Nvidia web driver, 378.05.05.15F01.pkg looks for macOS build number 16F73. Therefore you’re seeing the error code it’s not supported on your 2017 MBP. You can modify the macOS build number to install Nvidia web driver. I have changed the version of the os to 10.12.4 using the sudo comands for the plist- it still yields the same return- is there a separate way to change the actual build number? Another problem at this moment is Radeon card, hard to buy and price is too high due to bitcoin miner. why it look like this? macOS High Sierra 10.13 has official support for eGPU. However, the only GPUs compatible with 10.13 are RX 470, RX 480, RX 570, and RX 580. automate-eGPU.sh script is not intended for 10.13. If you run it again in 10.12 it may work with your 2014 Mac mini. RX 460 works in 10.12. It does not work in 10.13 at the moment. Hi, amazing guide, very informative! I have a question regarding the AKiTio Thunder2. On the website provided, it says that graphics cards are not supported, while it is not even compatible with Apple’s BootCamp. How would these things affect me if, say, I were to use it on a Early 2015 macbook pro running bootcamp? Also, does the AKiTio require the battery process required to give it juice? AKiTiO never intended for the Thunder2 to be an external graphics enclosure. Its statement about no GPU support and BootCamp support is to make clear if you are using the Thudner2 for eGPU, there’s no post-sale support from AKiTiO. You’ll need to modify the power arrangement in order for the Thunder2 to host a graphics card. This barrel plug adapter guide is a good start. 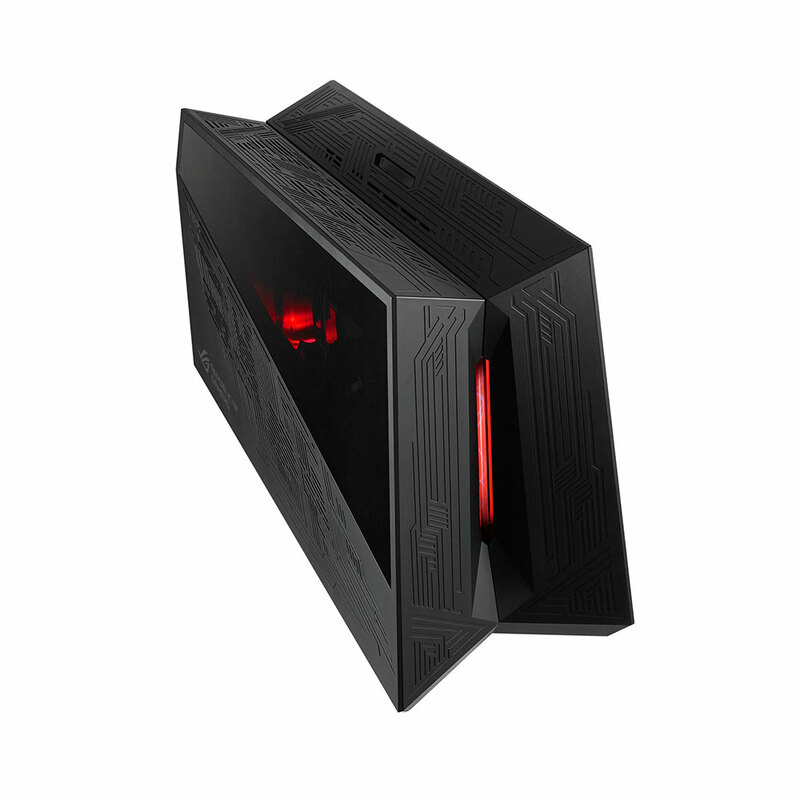 so im wondering the Aorus Gaming Box, can u test? The Mac Pro is unique in that it doesn’t have iGPU. Only much older Boot ROM can detect external GPU. If your nMP was not able to detect the AKiTiO Thunder2, it’s likely running a newer Boot ROM that prevents external graphics use. The Aorus Gaming Box won’t change that unfortunately. I’m considering to install Radeon Vega Frontier card for my Mac as egpu. Is it possible to do that? Not possible at the moment. There are drivers in the latest build of 10.13 Beta. However, there’s no known support for external graphics use. Hello i’m running with Late 2011 13″ + akitio thunder 2 + geforce 1050 TI . The system has detected the eGPU but my FPS on LOL has fall in 05 FPS ( WHOW ) …. before qith my onboard intel 3000 was 35 FPS…. can you help me to solve this problem ? Hi Rob, please post a new topic in the forum with more detail about your eGPU build. So imagine i had the HTC Vive and i wanted to use my mac for VR with it. Given i have the right GPU, would i be able to do VR? I have a Retina MBP 13′ Mid 2014 and what i’m planning to have is an Akaito node+tb3 to tb2 adapter+ (Let’s say, a GTX 1060). I have a macbook pro 15 inches from early 2015 with Intel 5100 graphics card and intel 5257 processor. I an planning on buying the gtx 1050 ti and the Akitio thunder 2 PCIe box. Would the eGPU improve my CPU’s performance as well? I have been playing GTA V on it pretty well on lowest settings because it would reach 100% cpu so fast, would it help my cpu be ok on better settings as well? Also curious if my processor will bottleneck even if I build an eGPU. Thanks! Does the 15″ MacBook Pro Mid 2017 also have the TB3-CPU architecture? Here’s my problem. I’ve got everything set up and drivers installed, but when I go to start up the Mac with it plugged in all the MacBook does is run likes its trying to boot up. The screen doesn’t come on and it’s stays black. Anybody got an answer for this?